Our take on the classic Thai dish. 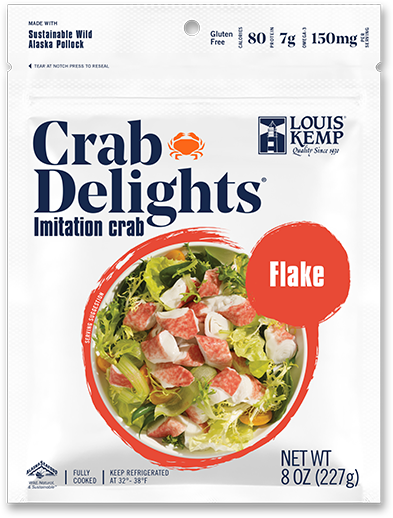 Louis Kemp Crab Delights® are mixed with bright flavors and glass noodles for a simple and delicious meal you’ll be making over and over again. Noodles (if using dried/dehydrated version): Soak in cold water for 30 minutes, or as instructed on packaging, before preparation and drain. Marinade: Heat chicken stock in microwave until hot. Combine with lemon juice, soy sauce and red chili oil in a bowl. Set Aside. Bring a medium size pot of water to a boil, add noodles and cook for 2 minutes. Drain noodles and transfer to a large bowl. 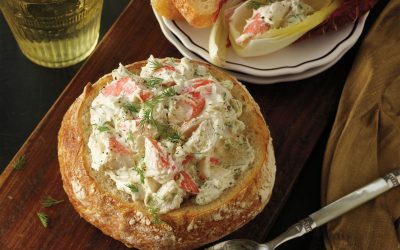 Stir in Crab Delights® and marinade. 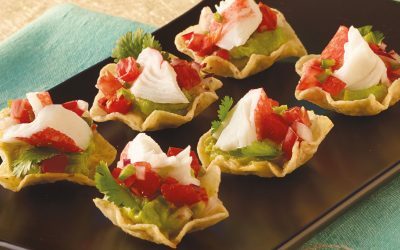 Cover and keep chilled until ready to serve. 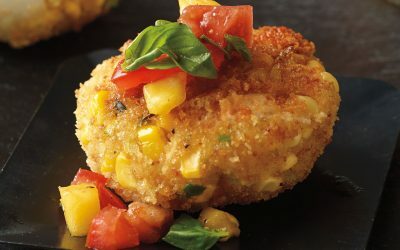 Just before serving: add green apple, green onion and jalapeno pepper. Gently mix.